This article comes from the MBA Admissions Team. The 2018-2019 MBA application is now open for all programs. Questions are starting to come in from those who have applied in the past about applying again to join the Texas McCombs MBA Class of 2021. First, having applied in a previous year is not considered a negative factor in your application. We are pleased to see your continued interest in the program and will evaluate your new application on its merits and in the context of the new applicant pool, just as if you are applying for the first time. 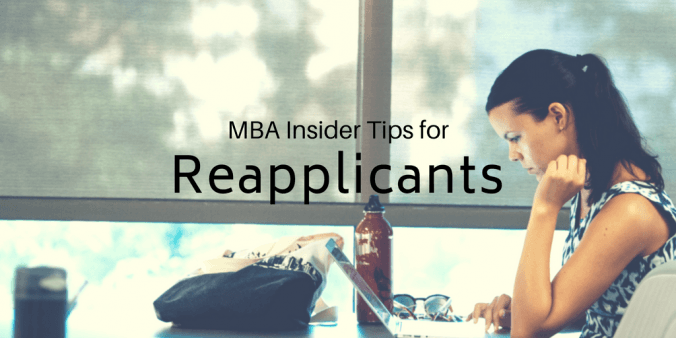 Below is an overview of important info and tips for reapplying to the MBA program that we hope you find helpful. All candidates reapplying are required to complete a new application, new essays, a new resume, and pay the application fee. Our essay prompts change from year to year, so copying and pasting your essay responses from a previous application cycle is not recommended. We keep your official transcript on file for one year. You will need to submit your transcripts again if you have taken any additional coursework or if you applied more than one year ago. You can always review your application status on the “MyStatus” page to make sure you have current transcripts. GMAT  and GRE  scores are also kept on file for one year and overall, scores are valid five years after the date the test is taken. For TOEFL scores, this period is two years. You need to take the GMAT or GRE again if the scores have expired. The McCombs Admissions Committee considers only the highest total submitted score in the evaluation of applications. Although not required, we suggest you submit a new letter of recommendation. Determine if another recommender may provide a more current, insightful and thorough perspective on your experience. If you choose to submit a prior recommendation, you will be able to import the existing letter while completing your new application. While completing your application, you will be asked, “Since your previous application, what steps have you taken to enhance your candidacy?” The Admissions Committee reviews this answer closely so please ensure that you spend time reflecting on and explaining these improvements. Choosing to re-apply to the MBA program shows perseverance and dedication. We encourage you to consider giving yourself a fresh start when you approach your new application. Think through and reassess your application, address any weak areas, and add new information that may be helpful in the admission process. Please reach out to us at TexasMBA@mccombs.utexas.edu with any questions. We look forward to receiving your new application. Good luck and Hook ’em!